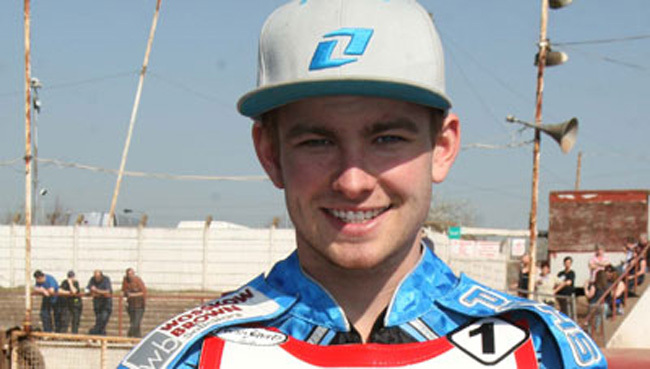 STOKE Easy rider Potters went down to a narrow 47-43 defeat against the Isle of Wight in the National Trophy at the Smallbrook Stadium on Tuesday night. The Islanders maintained their unbeaten record in the trophy having already seen off Buxton and Mildenhall and continued their record against the Potters taking the lead in heat one with an opening heat 4-2 before the Potters struck back after Danny Stoneman blew an engine while leading giving Liam Rumsey and Jack Kingston a maximum 5-1 heat advantage over former Potter Ross Walter to give Stoke a 7-5 lead after just two heats. The Potters maintained their lead until heat six as the Islanders then gained two 4-2 heat advantages to lead 22-20 after seven heats with the Potters still very much in the meeting but a maximum 5-1 for the Islanders in heat eleven left the Potters trailing by six points as Ashley Birks fell while challenging for the lead leaving Stoke trailing 36-30. The islanders maintained their six point lead before the Potters gained a consolation last heat 4-2 from Birks and skipper Tony Atkin to leave the Potters bringing a point away from the Smallbrook Stadium having lost by less than six points. The Potters provided no less than eight heat winners out of the fifteen heats with number one Ashley Birks providing three heat victories. Easy Rider Potters team manager Malcolm Vasey said "We put up a creditable display and came away from the meeting with a valuable point that keeps us in contention to win the trophy providing we win our remaining home meetings."